Nick Fury, the director of espionage agency S.H.I.E.L.D., along with his lieutenant Maria Hill, arrive at a remote research facility. There, Dr. Erik Selvig is leading an investigation on an object of great power known as the Tesseract. Agent Phil Coulson explains to them that it has been radiating a strange energy as of late. The Tesseract suddenly opens a wormhole from which a being of unknown origin emerges. He identifies himself as Loki, the Asgardian god of deceit and trickery from Norse mythology. Arriving to subjugate the planet Earth and the humans who dwell upon it, Loki seizes the Tesseract and uses his scepter to enslave Dr. Selvig and various agents, including the expert marksman Clint Barton. Realizing the threat Loki poses, Fury activates a defense plan seventeen years in the making: the Avengers Initiative. WARNING: This review will contain spoilers for the Marvel Cinematic Universe canon thus far. The easiest trap Joss Whedon and his team could have fallen into was to make a film without a first act. They could have easily begun the film guns blazing, making it an elaborate fight scene with no meaningful character development. Thankfully, what The Avengers accomplishes provides us with the best of both worlds. It is a film that has all the strengths of an inaugural installment and a solid sequel simultaneously. The narrative does provide exposition so that the audience not in the know can fill in the blanks easily enough, but it isn’t overbearing. Once the plot begins in earnest, it expects you to keep up. The five films that preceded The Avengers did an excellent job establishing these characters and their importance to the universe. It is then up to this installment to bring them together and have them play off of each other. The film follows the standard comic book trope of having the heroes brawl amongst themselves upon meeting each other for the first time. Despite Loki’s malicious intent, his adopted brother Thor attempts to talk him out of his plan and return to Asgard. Amusingly, in his fight with Iron Man, his power over lightning only ends up recharging his opponent’s suit. The conflict is at its most apparent when Steve Rodgers and Tony Stark philosophically clash. One is a classical selfless hero whereas the other, while undeniably good at heart, clearly enjoys the spotlight his exploits as Iron Man has afforded him. What I admire about this film is how it has a great mixture of humor and action. By the early 2010s, any attempt at blending the two invariably resulted in products such as Transformers: Revenge of the Fallen. You would have these sweeping action scenes only for someone to crack a wildly out-of-place one-liner. 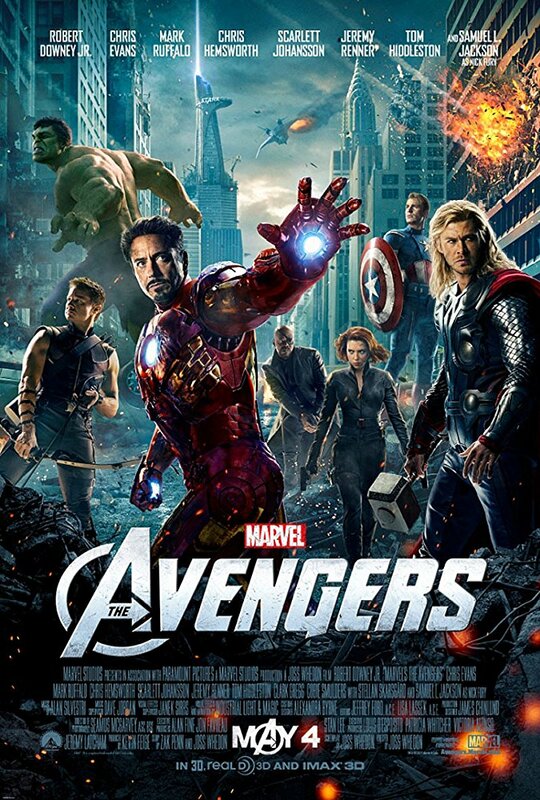 In The Avengers, the jokes are well-written, yet don’t interfere with the tone when it takes a more serious turn. In fact, many of the jokes do an excellent job humanizing these characters. One of the more memorable ones involves Phil Coulson referencing Steven Hawking in a conversation with Steve Rodgers. Having been dormant for nearly seven decades, Rodgers wouldn’t be familiar with one of the greatest scientific minds of the second half of the twentieth century. He later excitedly proclaims he understood an allusion to The Wizard of Oz Fury makes that is completely lost on Thor. There are many other excellent jokes thrown in such as when Stark catches one of his subordinates playing Galaga at work or Thor clarifying that Loki is his adopted brother after being informed of the damage the latter has inflicted. Although humorous in many respects, the most defining moment of the film is the final battle. After killing Coulson, Loki uses the Tesseract to open a wormhole above Stark Tower in New York City so that the extraterrestrial invaders known as the Chitauri can begin their invasion. This is the moment when the Avengers, consisting of Captain America, Iron Man, the Hulk, Black Widow, Thor, and Hawkeye, put aside their ideological differences and fight as a cohesive unit. What follows is one of the greatest battle sequences ever filmed. The reason it works so well is because while there are a lot of things going on at once, it’s not disorienting at all. All of the characters have distinctive looks to them, including their own color scheme. This means you can easily spot them in a crowd. Given how inherently chaotic fight scenes are, the ability to tell what is going in a given moment is highly important. The heroes face nigh-impossible odds against a foe that looks down upon them, but they slowly, yet surely emerge triumphant. While I don’t agree with the sentiment that a film is only as good as its villain, I do give The Avengers a lot of credit for making Loki a credible threat. In his debut film, Loki was a fairly unremarkable character. Even the fact that he turned out to be a villain was unsurprising to anyone even passingly versed in Norse mythology. In The Avengers, Tom Hiddleston’s performance is much livelier, lending the character his signature chaotic demeanor. At the same time, with his endless contempt for humanity and belief that they need to be subjugated lest they destroy themselves, it is immensely satisfying watching the heroes put him in his place. 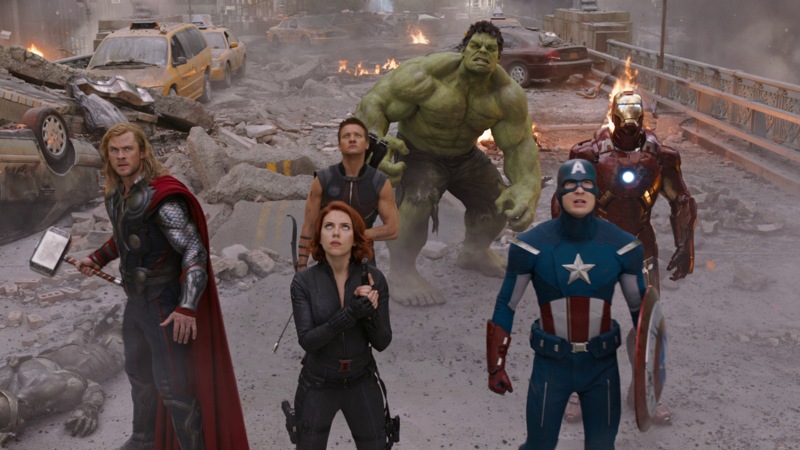 The Avengers marks the official moment the Marvel Cinematic Universe ceased being a collection of individual stories taking place in the same world and started being a singular, cohesive narrative. It counted on the viewers having seen the five films that preceded it. They established the characters of Tony Stark, Bruce Banner, and Steve Rodgers – better known as Iron Man, the Incredible Hulk, and Captain America respectively – and had them assemble to combat a threat larger than all of them combined. If you wanted this kind of storytelling, you had to turn to video games, television, or most relevant to Mr. Whedon’s film, comic books. The idea of being able to see a large story gradually unfold before your eyes in installments in the theaters was unheard of following the decline of film serials several decades prior. The main takeaway is that despite having several well-known actors play these famous characters, The Avengers was a fairly risky gambit. The faith Mr. Whedon and his team placed in their potential audience was rewarded when their film proceeded to make over $1.5 billion on top of the glowing critical acclaim it received. As it stands, The Avengers stands as a superb culmination of its five predecessors and a solid action film in its own right. Before 2012, it was exceptionally rare to see a film franchise of any kind shine six installments in. With The Avengers, not only did the Marvel Cinematic Universe defy this trend, it demonstrated it wasn’t about to run out of steam anytime soon. I like that the film incorporates Norse Mythology. I actually read the Prose Edda in college. It’s enough to make you wonder how characters like Captain America and Iron Man will be remembered that many years out. Thanks! And yeah, I do like how this series incorporates Norse mythology. It’s difficult to say; with any luck, they’ll end up like the Greek gods in terms of recognizability. Man I can’t believe it’s already a seven year old movie. I enjoyed it though. Especially liked when The Hulk beat up Loki while Loki was in full on Skeletor speech mode. Great review! Thanks! The Hulk interrupting Loki’s villain speech in that fashion was definitely the highlight of the film. There were a lot of great individual character moments in that film, weren’t there? The Avengers is a big dumb action move, but it’s the best big dumb action movie. It’s one of the few films I make sure to watch multiple times a year. It’s just so much fun. You gotta admire a film that has no qualms about what it is; I think other directors should learn from that. Agreed! These movies have been incredible at bringing together massive ensemble casts and plots. 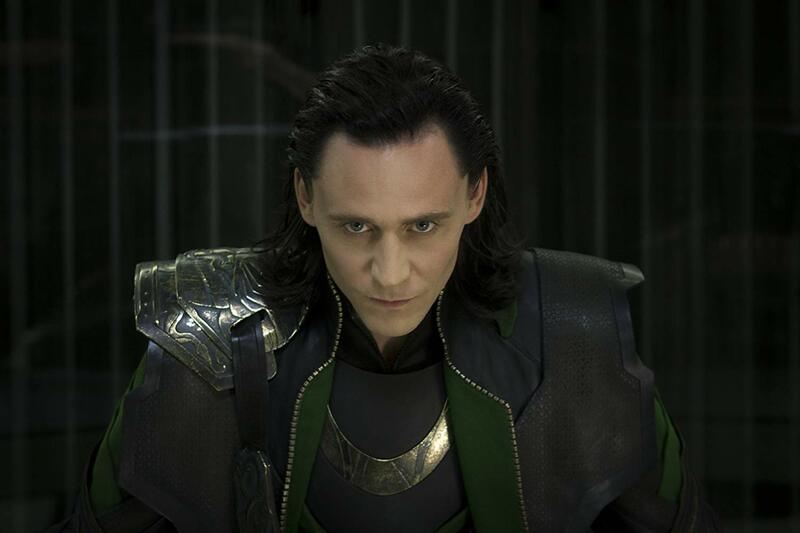 I do love well-written villains, and Loki is one of few who truly stood out in the Marvel movies. Ah, it’s about time I re-watch the Avengers movies. Great read! Indeed they are. I do like a well-written villain, though for me, it’s a nice bonus more than anything else. I still have to say Loki’s greatest moment is when he gets decimated by the Hulk. [2019 with DOS games] The Hobb… on I ❤ Old Games!